These features lool great but after adding 1 search engine, I see no way to add any more. There is no “plus” sign. 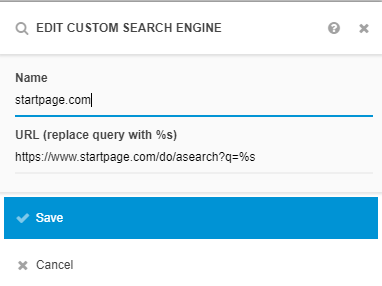 I can add search engines to “Search settings” but the widget only shows 1. Is that the intent? In other words, you add as many Search widgets for each of your needs (i.e. Startpage. Wikipedia, etc…). Or does the widget contain a default engine + other choices? Also, in the search bar, I noticed that when Bing os chosen, it does not open a new page (like the others) but opens in same page. Is that a bug? For the bookmarks sorting, it is a good feature, but can we leave them in a custom sort if we want? I tend to have the most used ones at the top. Thanks and great work. I love Start.Me and tell all my friends and colleagues about it. Hi Philip, Great to hear you really like start.me! And yes, you can definitely add more than one search engine to each search widget or to the search bar. What you’re looking for is the ‘Manage search engines’ option. 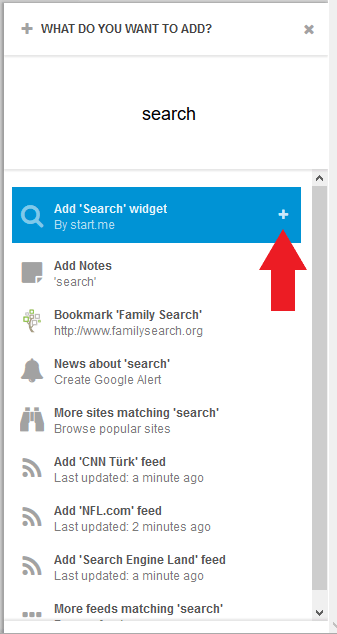 You can find this under ‘Search settings’ (Search Bar) or directly under the options menu (Search widget). As for your other question: yes, you can still change the order just the way you want to. The minor update we presented in this article only concerned the presentation of bookmark blocks when adding a new bookmark, nothing more. I’m sorry if this wasn’t clear from the beginning! Anyway, do continue enjoying start.me and spread the word! Can you only have 1 search engine in the block at one-time? As in, in the block and useable. If not, I think it would be great to be able to add more search engine spots in the block it’s self. Hi Joseph, Thanks for your reaction! 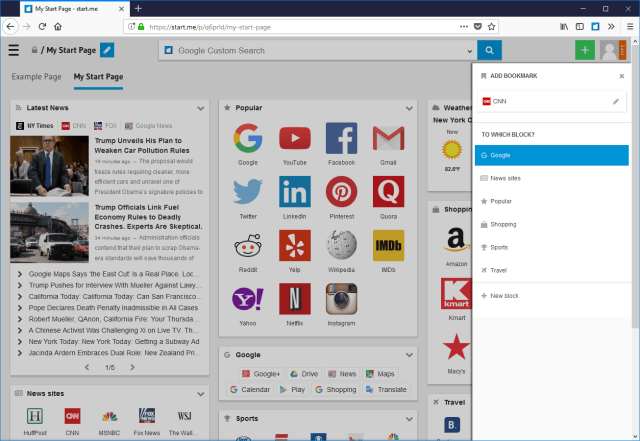 Yes, it’s definitely possible to add more than one search engine to you Search Widgets. Just look for the ‘Manage search engines’ option in the options menu (the little arrow in the right-hand corner). You can add as many search engines as you’d like. Hope this answers your question. What I’d like to do is just the opposite from what other people are talking about, I would like to remove the search widget entirely from my home page..is it possible to do so ?